The Brearley School Welcome Brearley Alumnae! Click here to log in to the secure Alumnae site for additional alumnae resources. The Brearley Alumnae Association is a vibrant community dedicated to fostering and supporting over 4,000 alumnae from as close as New York City to as far as Europe, Asia, South America, Africa, Australia and beyond. Brearley connections, whether to former classmates and teachers, the school song or traditions such as the Mascot Assembly and Last Day, are firmly rooted in all those who have walked through the doors of 610. 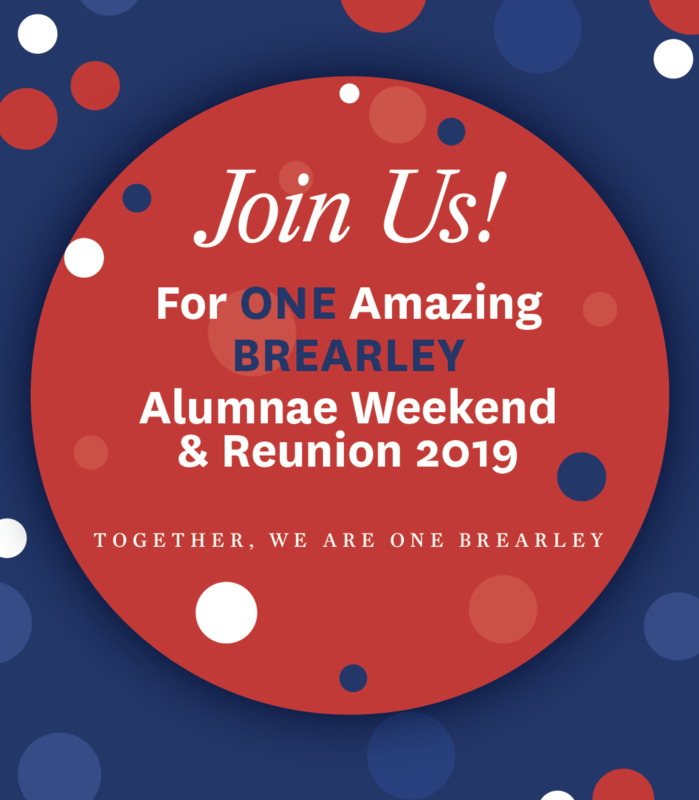 We hope that the Brearley website, and the Alumnae pages in particular, will help you maintain and strengthen your connection to Brearley. You will find information on upcoming events, details about Alumnae Weekend and Reunion, news and photos of what is happening at school and a link to the School’s Strategic Vision. From event organizer to participant, there is something for everyone. We also invite you to take a look at the Volunteer page and see what might interest you. If you live outside the NYC area and would like to help organize a regional event, please be in touch! As an alumna, you also have privileges to a password-protected section of the website that houses the Alumnae Directory as well as a “live” profile of your personal and professional contact information that we hope you will update online whenever you have a change. If you don’t already have a login, or have forgotten your password, please visit https://brearley.myschoolapp.com/app/#login. By this point, many of you will have seen that Brearley has officially “gone social.” If you haven’t yet done so, please remember to join the School on social media: Facebook (both the School Page and the Alumnae Group), Twitter, Instagram and LinkedIn (search “Brearley Alumnae Group” and request to join). Please feel free to contact Alumnae Relations (212-570-8516; alumnae@brearley.org) with questions and suggestions. We hope to see you at Brearley soon!